Pre-owned Aggregation Services Routers (ASR) are one of one of Cisco’s primary lines of routers. Used ASR routers are designed primarily for high-bandwidth applications for enterprises and service providers. There are three distinct series that make up the Cisco ASR Series: the ASR 900 Series, the ASR 1000 Series and the ASR 9000 Series. The ASR 900 Series are entry-level routers, and the ASR 1000 and ASR 9000 series are high-end routers with more advanced specifications. All used Cisco ASR Series routers support up to 100G Ethernet. This page breaks down all three sub-series of Cisco’s pre-owned ASR routers and provides details on how used ASR 1000 Series routers compare to refurbished ASR 9000 Series routers. These are the flagship routers of the ASR Series – they have better specifications than both the ASR 1000 Series and the ASR 900 Series. Used ASR 9000 Series routers range in size from 1 RU to 40 RU and have core routing capabilities. Most used ASR 9000 Series routers have a modular design, but the two entry-level models, the ASR 9000v and the ASR 9001, are designed with fixed configurations. 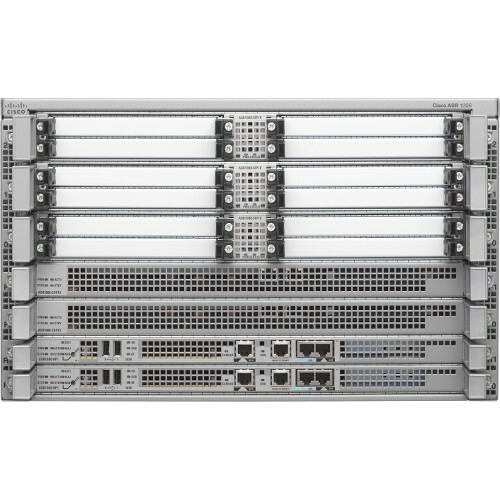 The higher-end pre-owned Cisco ASR 9000 Series routers support more line cards and have greater port densities than any of the ASR 1000 Series routers. The number of line cards ranges from 2 to 20 in used ASR 9000 Series routers that have modular designs. Used Cisco ASR 1000 Series routers feature similar specifications to the ASR 900 Series, although there are more options available to choose from. Pre-owned ASR 1000 Series routers range in size from 1 RU to 13 RU, and are designed with edge routing capabilities. Pre-owned Cisco ASR 1000 Series routers are available in both fixed and modular configurations. The ASR 1001-X, ASR 1002-X, ASR 1001-HX and ASR 1002-HX models are fixed and the other five models are modular. The ASR 1000 Series offers larger chassis, which also support greater port densities, than the ASR 900 series. In addition, the line cards available for refurbished ASR 1000 Series routers feature greater port densities than the interface modules available for used ASR 900 Series routers. 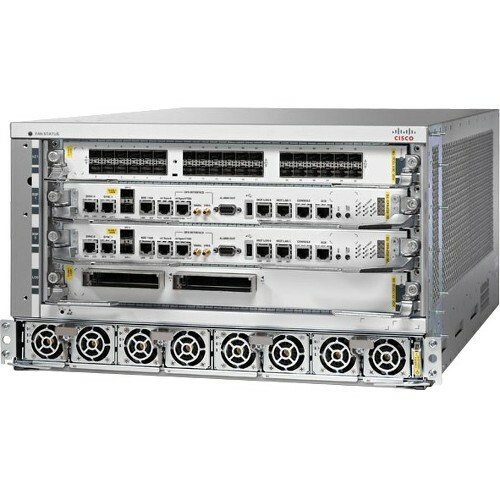 Pre-owned Cisco ASR 1000 Series routers designed with modular configurations support between two and six line cards. In order to ensure you make a well-informed purchase, we provide used Cisco ASR Series datasheets and ASR Series PDFs for you to review. These datasheets include in-depth specifications that can be used to compare models and narrow down your search. Pre-owned ASR 900 Series routers are end-of-life products; Cisco no longer makes these routers, which means they are only available through used Cisco resellers, such as BrightStar Systems. Used ASR 900 Series routers range in size from 2 rack units (RU) to 4 RU and have edge routing capabilities. All three models feature a modular design which offers flexible configurations so you can set up your routers to best fit your needs. Essentially, the routers are set up as chassis that can be configured using a wide range of used Cisco interface modules, which essentially work the same as line cards used in ASR 1000 and 9000 series routers. The number of interface modules supported by each model is the biggest difference between the three router chassis. The ASR 902 supports up to four interface modules; the ASR 903 supports up to six interface modules and the ASR 907 supports up to 16 interface modules. In addition, we also have pre-owned Cisco ASR Series price lists available so you can accurately calculate what you’ll be spending before finalizing any purchases and stay within your budget. If you have specific questions about our used Cisco ASR Series routers, one of our experienced sales associates can assist you and help you figure out which models are the right fit. Contact us today if you’re interested in purchasing refurbished Cisco ASR Series routers. We offer a wide selection of used ASR 900 Series routers, pre-owned ASR 1000 Series router as well as used surplus ASR 9000 Series routers at cost-effective rates.